Before I became a full time Cooking Agent at read . cook . digest, I was a humble cupcake maker. I needed a methodical way to destress from work. What better way to make an accountant/auditor happy than to give her some measuring cups and an oven timer? I am constantly on the lookout for citrus desserts. I’m talking intense citrus flavor that makes your salivary glands go haywire. I’m not a prim and proper, subtle lemon curd cupcake kind of girl. I want in your face War Head cupcake… and that’s what I found at I Heart Cuppycakes. Don’t be fooled by their looks — the intense citrus will sucker punch you. Preheat oven to 325˚F. Prepare cupcake pan with liners. Combine flour, baking powder and salt in a bowl and set aside. In a stand mixer, fitted with a flat beater, combine cream cheese, butter, sugar, orange vest and vanilla extract until light and fluffy, about 3 to 4 minutes. Add eggs one at a time, beating after each addition. Then beat in oil. Gradually add flour mixture in 3 additions, alternating with milk in 2 additions, ending with the flour mixture. Try not to overmix. Fill cupcake liners about 1/2-2/3 full. Bake for about 25-30 minutes or until a toothpick inserted in the middle comes out clean. Remove from pan and cool completely on a wire cooling rack before frosting. In a stand mixer, fitted with a flat beater, combine all frosting ingredients, until frosting reaches desired spreading consistency. The frosting on these were so yummy and I put more than probably necessary, but who doesn’t love an extra squirt of frosting. I ended up having to double my recipe and ran out to a 24 hour convenience store at 11:30 just to pick up more confectioner sugar. I agree with Clara. These most definitely get an A+! On a side note, I hope everyone in the Northeast survives the inevitable blizzard! Love the photo. What I would love more is eating them! But since teleportation has yet to be perfected, I might need to make them myself. Love anything citrusy! Oh! 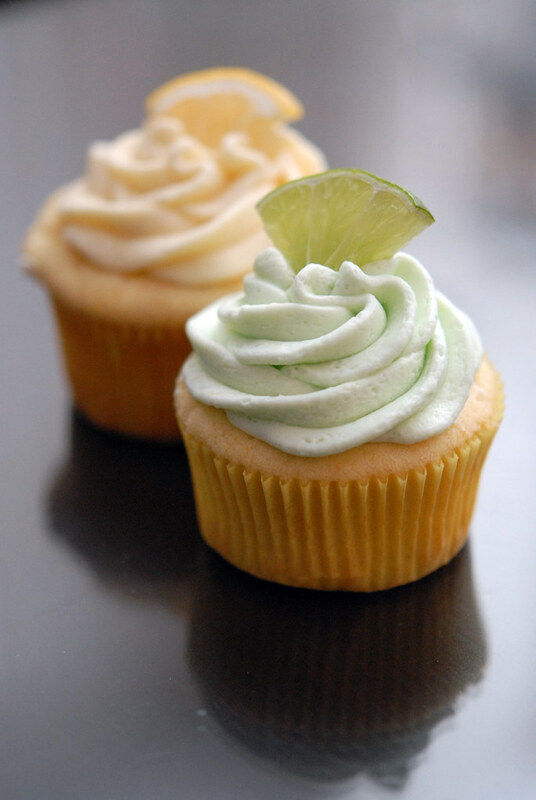 Love these, the little slices of lemon and lime really make the cupcake! These cupcakes look and sound delicious. What a nice summer-like treat for these snowy days! adorable! Nothing better than baking when snowed in! I made pumpkin muffins this morning but your cupcakes look much more festive! These are so cute. Your frosting looks delicious. 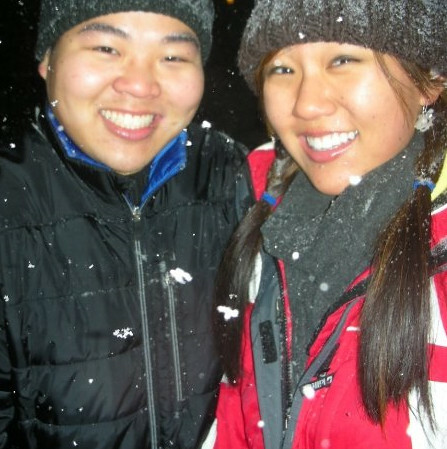 Hi, I just wanted to let you know that I used your picture above for my blog. Giving you credit for the picture. I love your cupcakes.. Delish. Thanks for letting us know Jackie.